I could not resist posting one more Phylloxera map, this time from the Caucasus. I have no idea what anything means but I suspect the green areas are those of cultivation and the three types of red dots represent the state of the Phylloxera infection. Perhaps because of mountainous terrain some areas are not infected. If you click on the map you will be taken to Flickr where you may zoom in. Caucasus Vineyard Map with the Points of Phylloxera Disease. Image from the National Archives of Georgia hosted on Flickr. 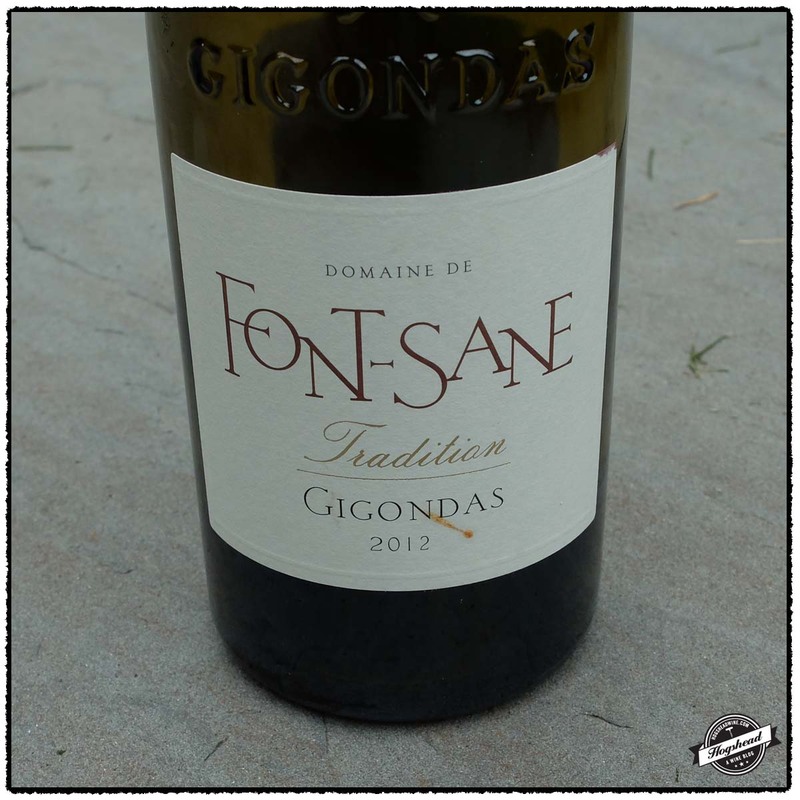 The 2012 Domaine de Font-Sane, Cuvee Tradition, Gigondas is my kind of wine from Gigondas. 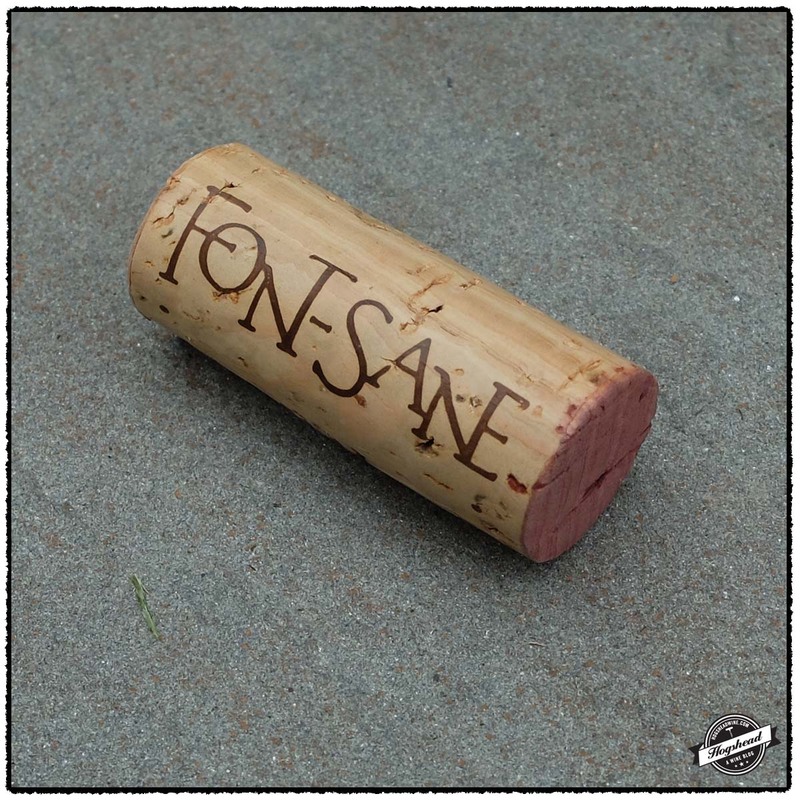 It is substantive and structured without smacking of new oak, it reveals complexity with air, and is priced within budget. 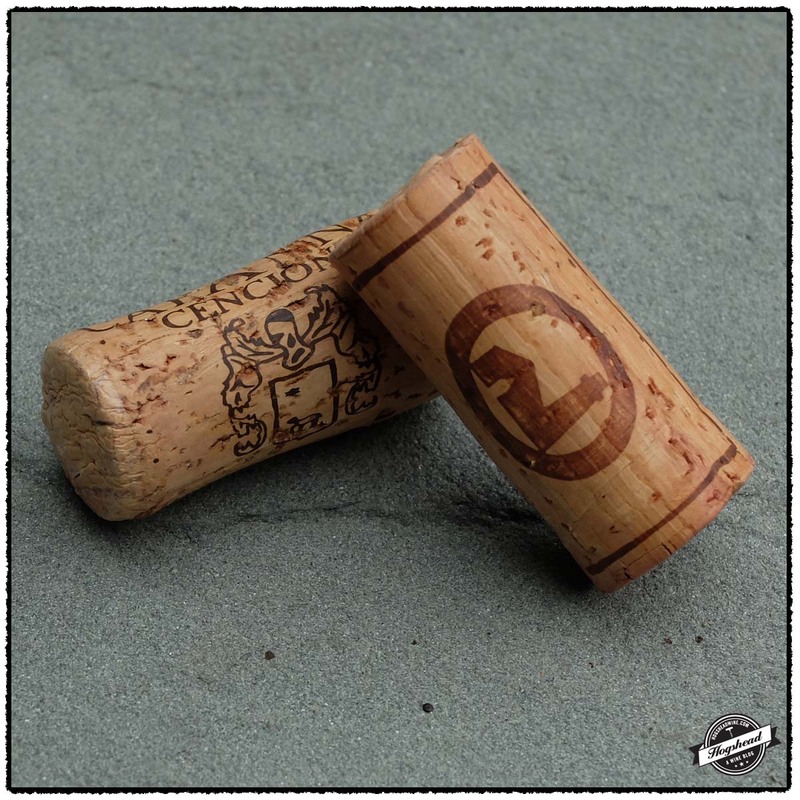 Buy many bottles because it is enjoyable in youth and will age for more than a decade. This wine is available at MacArthur Beverages. Imported by Simon N’ Cellars. This wine is a blend of 72% Grenache, 23% Syrah, 3% Mourvedre, and 2% Cinsault that was aged for 8 months in oak casks. Alcohol 15%. There are black and red fruit aromas on the nose with deep hints of complexity. In the mouth the savory fruit mixes with licorice and dry tannins but still has a coating of some fat. With air the flavors become herbaceous and floral with good bright and ripe structure, and some ripe leather. This traditional Gigondas is lovely to drink, sports good weight, and develops well with air. Right-on. ***(*) Now – 2030. 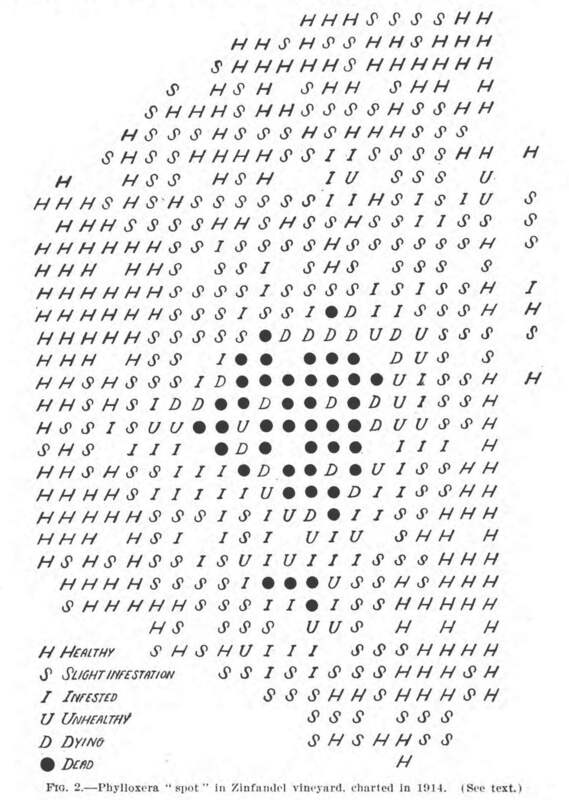 The final Phylloxera map for today stems from an United States Department of Agriculture Bulletin focused on the Phylloxera in California published in 1921. This map indicate the spread of Phylloxera in a Zinfandel vineyard by indicating the state of each individual vine. Thus dead vines are represented by solid circles whereas the varying states of the other vines is indicated by a letter. After looking at the legend, I find it is easy to understand the map. I hope you enjoyed these four different Phylloxera maps. 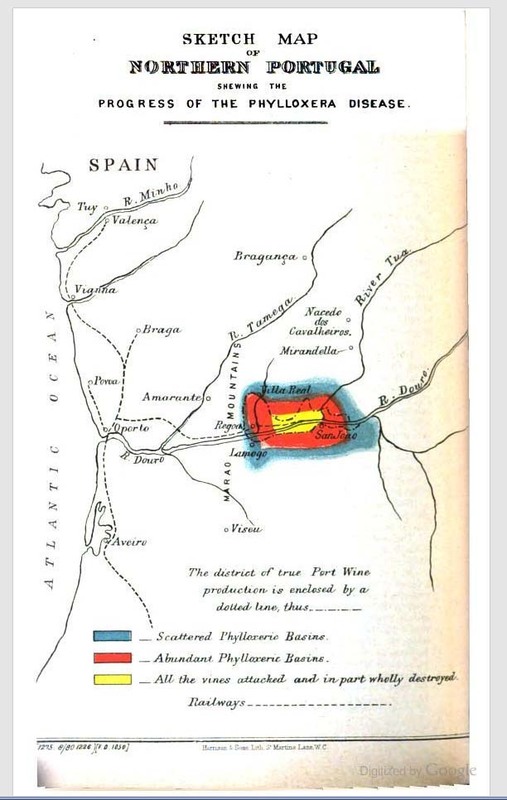 The previously published map of the progress of Phylloxera in Northern Portugal during 1880 uses solid color to indicate the intensity of the devastation from Phylloxera at a given time. 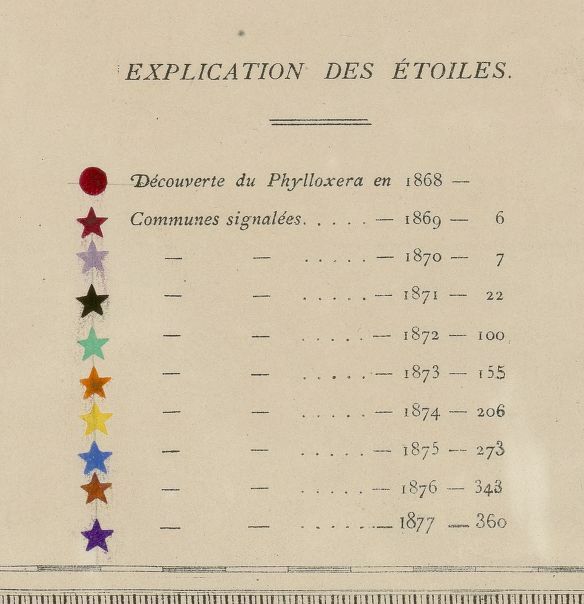 The map featured in this post illustrates the spread of Phylloxera in the Gironde over time using color coded stars. At first glance, I even thought the stars were those tiny foil stickers so often used in elementary school. This map reflects a more complicated objective and I honestly have a difficult time understanding the chronology without constantly referring to the legend. Here is a close up of the legend. I do not yet understand how the color scheme was devised. And here is a close up of the map. 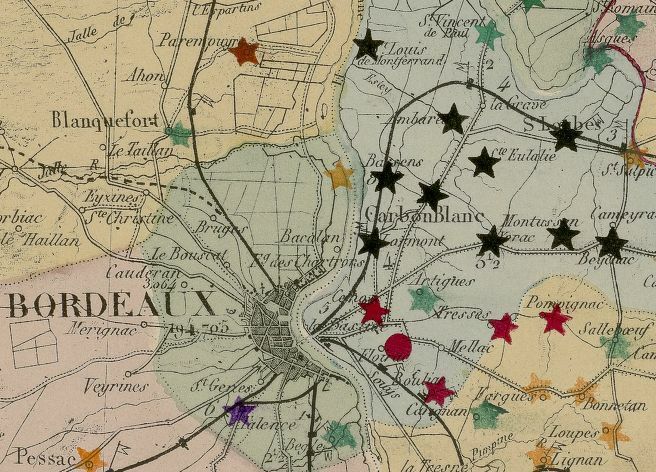 It is Phylloxera map day! 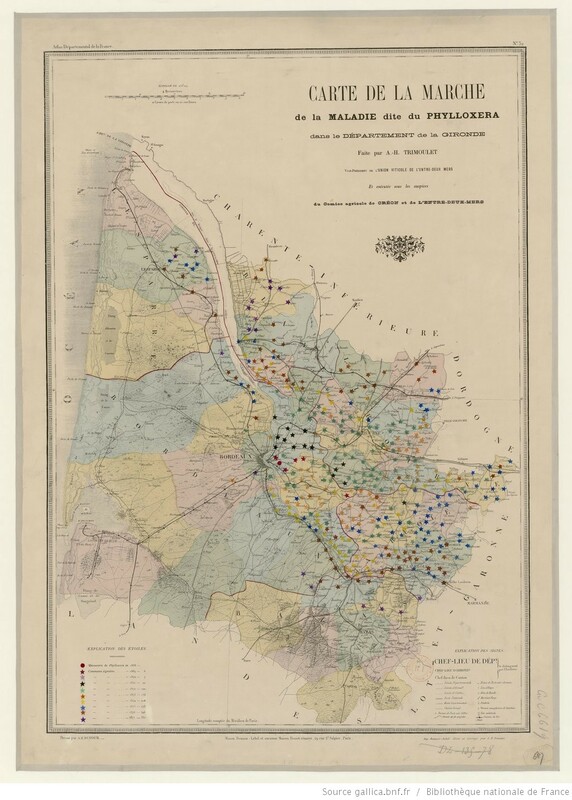 I like this particular map of the progress of Phylloxera in Northern Portugal during 1880 because of the color coding. It looks like a bullseye. 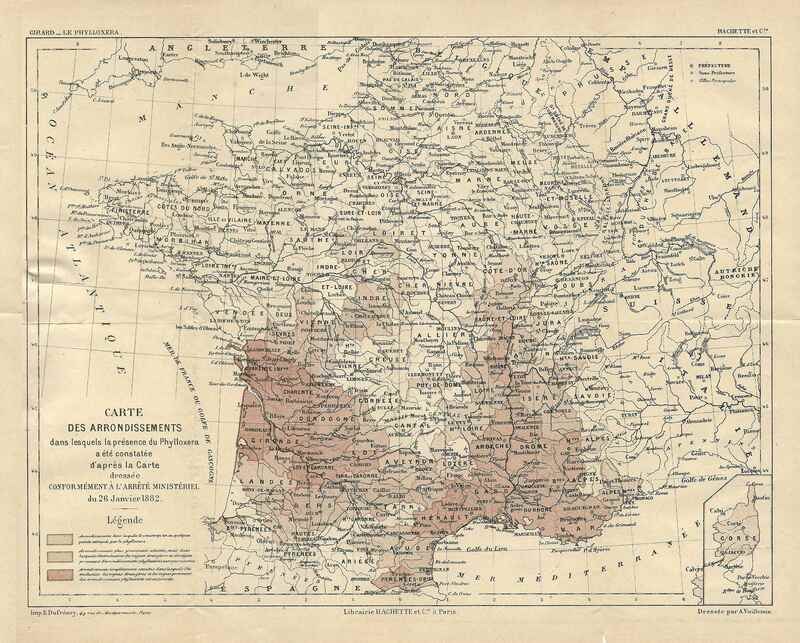 Map showing the presence of Phylloxera in France during January 1882. I had it on my mind for some time to drink a few bottles of Rosso di Montalcino for my experience with these wines is severely lacking. 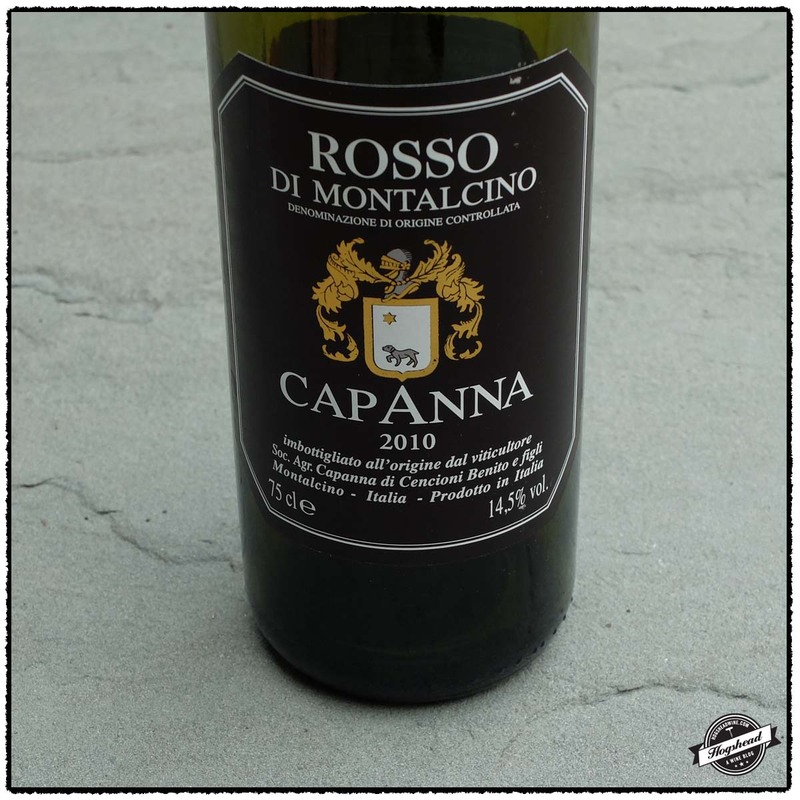 I finally satisfied my curiosity this week when I opened up the 2013 Fornacina, Rosso di Montalcino and 2010 Capanna, Rosso di Montalcino. 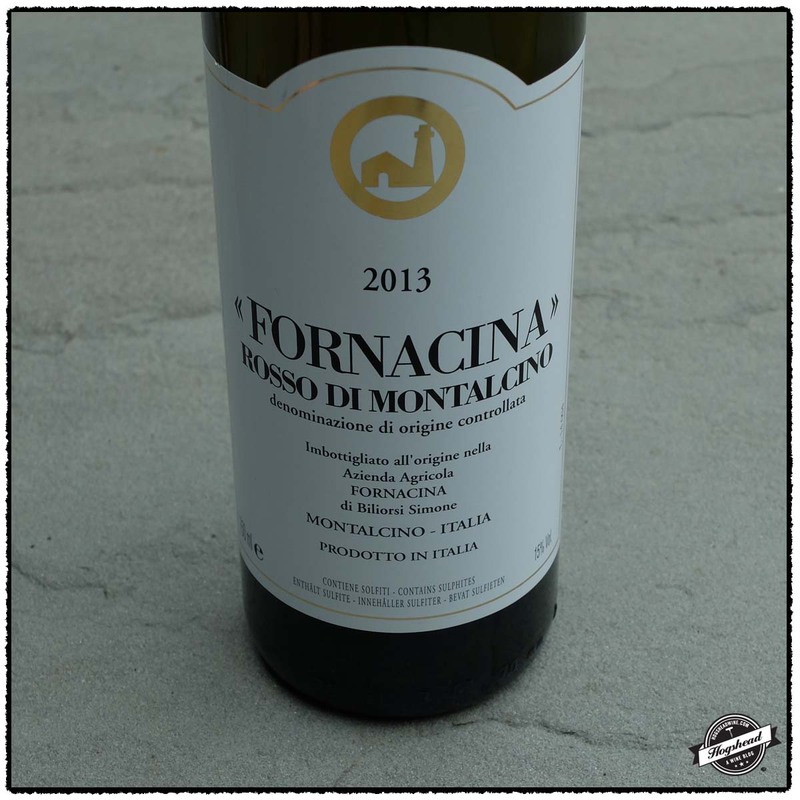 The Fornacina proved quite open, even effusive with traditional aromas and flavors. I really liked it! Not only is is attractive but the price seems unreal. Both of these wines are quite big, though not out of balance, with alcohol to match. They easily stood up to drinking over two nights which is a good thing because my perspective on the Capanna completely changed. It was quite mute on the first night but far more interesting on the second night. It is from the outstanding 2010 vintage and I believe will shine several years from now. My recommendation is to drink the Fornacina while the Capanna ages. These wines are available at MacArthur Beverages. This wine is 100% Sangiovese. Alcohol 15%. The nose was slightly earthy with more piercing and smokey flavors than fruity. In the mouth the flavors had a ripe edge with weight before tense and tart, perhaps mulberry, flavors came out. The wine became savory and expansive with air and always maintained a bit of a rugged finish. The wine was a cloud of flavor with a ripe, textured aftertaste. *** Now – 2020. Imported by Masciarelli Wine Co. This wine is 100% Sangiovese that was vinified in stainless steel then aged for 1 year in Slavonian oak casks. Alcohol 14.5%. There attractive aromas of dried tobacco leaf, bramble berry, and leather. In the mouth were rounder, more polished flavors of brighter red fruit. The were certainly more of a structured nature for development, compactness, and a hint of tobacco. With air this showed good savory concentration and black fruit with acidity and tannins spot-on. **(*) 2017-2027.